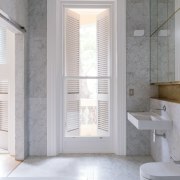 In this bathroom, a classic room-high sash window is matched with marble wall and floor finishes, a modern basin, tub and wall niche, and mirror-fronted cabinetry – part of a makeover of a circa 1890s terrace home by Renato D’Ettorre Architects. 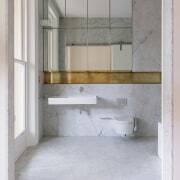 This refined bathroom forms part of a family home created in the conversion of a three storey Victorian Italianate-style terrace home, c1890, undertaken by architect Renato D’Ettorre. “The brief was fairly open but the structural integrity of the original walls partly dictated the shape of the interiors, including this bathroom,” says D’Ettorre. 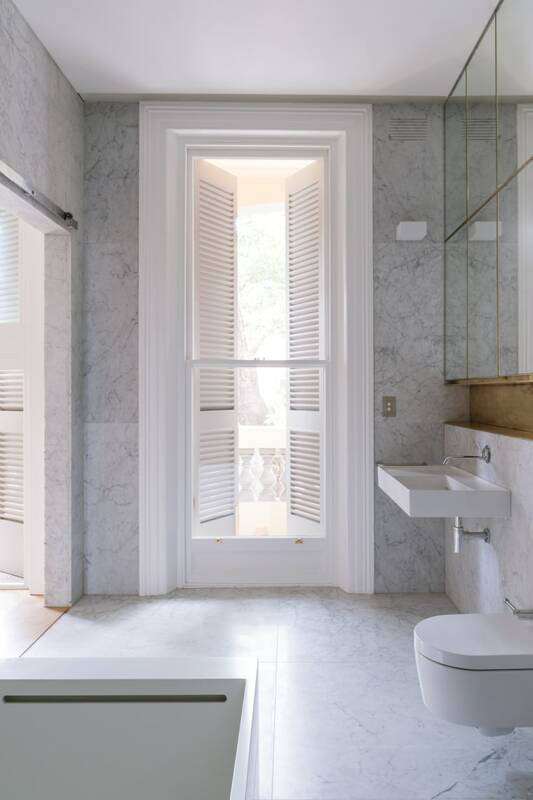 Part of a makeover of a circa 1890s terrace home by Renato D’Ettorre Architects, this bathroom balances existing traditional elements with more contemporary features. Preserving the charm of the old was a must and the original floor-to-ceiling, double-hung classical proportioned window achieves this. 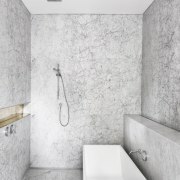 The space had to be de-stressing – a calm retreat for mind, body and soul – and D’Ettorre achieved this with a classic palette of veined Carrara marble on the floors and walls. By contrast, other elements in the bathroom are more contemporary. 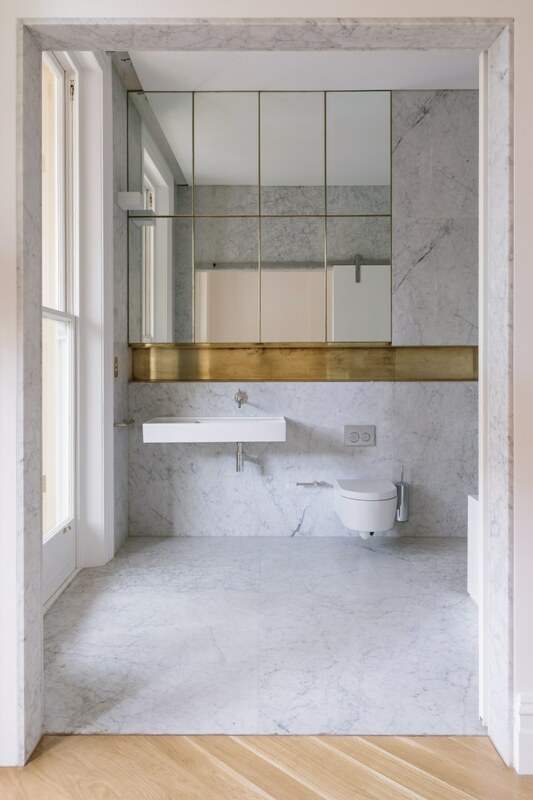 A bronze strip-backed recessed shelf with concealed lighting, a clean-lined bath and hand basin, and a mirror-fronted wall cabinet all contribute.